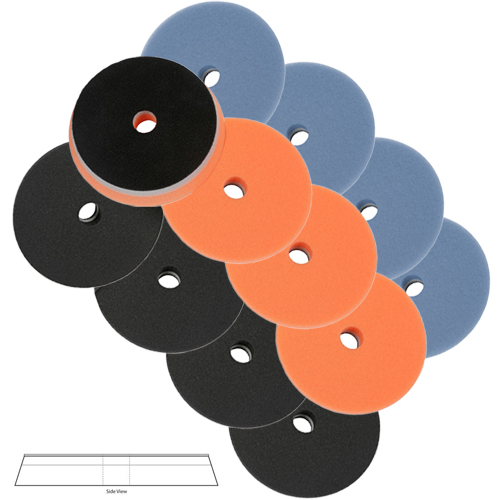 Lake Country HDO 6 1/2" Orbital Foam Pad Mix & Match 12 Pack allows you to choose one dozen pads of your choice for your cutting, polishing and finishing needs at great bulk pricing. All Lake Country HDO Foam Pads are made of a firm to medium density a fine cell structure foam for exceptional cutting, polishing and finishing performance. The advanced technology cooling chamber with breathable interface allow Lake Country HDO 6 1/2� Foam Pads to run 10% cooler than other pads which prevents the center of the pad from caving in by allowing unwanted heat to escape. Lake Country HDO 6 1/2� Orbital Foam Pads have been engineered from a slim profile, extremely durable well-balanced foam for longevity as well as efficiency in your polishing process. The layered multi-density foam structure with breathable interface allows for a smooth polishing while maintaining the integrity of the pad for surface contact, stability and peak performance on flat surfaces with the ability to adjust to curves and contours. Lake Country HDO 6 1/2" Orange Foam Polishing Pad: Perfect for polishing and finishing on almost all paints. 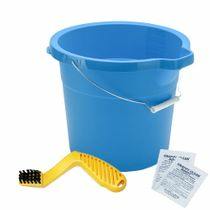 A great one-step pad that can be used for light compounding as well as polishing leaving a flawless finish. Lake Country HDO 6 1/2" Black Foam Finishing Pad: Great for finish polishing to include black, dark, or soft paints and clear coats. This silky foam with a denser body creates the ultimate finishing pad.